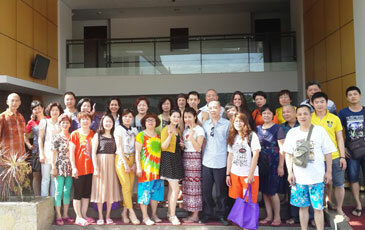 Bali, 6 March 2014 – In an effort to promote the island of Bali and increase its number of visitors from China, Archipelago International hosted a Fam-Trip on 24-26 February 2014 for a group of travel agents based in two of China's provinces, Xiamen and Fuzian. 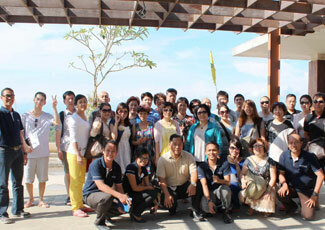 The group consisted of 31 personnel and they were given the full Archipelago International experience. On the first day, the group stayed at favehotel Bypass; a quality budget hotel complete with MICE facilities and a location right at the heart of the main thoroughfare, Bypass Ngurah Rai. On the second day, the agents stayed at Quest Kuta – Tuban, a modern, sophisticated and contemporary chic hotel located close by to Ngurah Rai International Airport. The group also visited and experienced the new 4 star Aston Ungasan Hotel & Convention Center which has amazing views across Tanjung Benoa's harbor. They also explored Grand Aston Bali Beach Resort before a final visit to favehotel Umalas; a quality budget hotel in Bali’s classy district just minutes from Seminyak. “As one of the main markets for Indonesia's tourism, it is critical that Chinese travelers have access to as much information about Bali as possible. We were delighted to host the Fam-Trip program for some of China's travel agents, because it not only gave us a chance to demonstrate why Archipelago International is one of the leading hotel management groups in the country, but it also enabled us to fulfill our own responsibility to provide quality hospitality and memorable experiences for the agents so that they can continue convincing Chinese tourists to come this magical, international destination.” Said Norbert Vas, Vice President Sales & Marketing Archipelago International.